تبلیغات دربازی‌های دیجیتال یکی از بهترین روش‌ها برای تبلیغات مؤثر می‌باشد، یکی از عواملی که بر اثربخشی تبلیغات دربازی‌های دیجیتال اثرمی‌گذارد، رضایت‌مندی مشتریان از بازیها است. در این تحقیق باهدف بررسی عوامل مؤثر بر رضایت‌مندی مشتریان و تأثیر رضایت‌مندی بر اثربخشی تبلیغات، 5 عامل مؤثر بر رضایت مشتریان را شناسایی شده است که شامل محتوای بازی، سهولت در استفاده از بازی، قیمت بازی، طراحی گرافیکی بازی و خدمات شرکت سازنده بازی بودنه‌اند. برای بررسی تأثیر این عوامل نمونه‌ای به حجم 242 نفر از دانشجویان مقطع کارشناسی ارشد مدیریت دانشگاه علامه طباطبائی انتخاب شد که این افراد روزانه حداقل یک ساعت بازی دیجیتال انجام می‌دادند. برای جمع‌آوری اطلاعات از پرسشنامه استفاده شده و اطلاعات جمع‌آوری‌شده با استفاده از روش معادلات ساختاری و تحلیل عاملی تأییدی مورد تحلیل قرار گرفته است. بر اساس نتایج به‌دست‌آمده از تحلیل آماری، تأثیر تمامی عوامل مورد تأیید قرار گرفت و تمامی عوامل مؤثر بر رضایت‌مندی بر اساس نتایج تحلیل آماری رتبه‌بندی شدند که طبق این رتبه‌بندی سهولت بازی، بیشترین اهمیت و خدمات شرکت سازنده بازی کمترین اهمیت را بر رضایت‌مندی افراد موردمطالعه داشته است، همچنین فرضیه اصلی تحقیق که تأثیر رضایت‌مندی از بازی بر اثربخشی تبلیغات بود، تأیید شد. Ehsani, Z., & Ehsani, M. H. (2015). Effect of quality and price on customer satisfaction and commitment in iran auto industry. International Journal of Service Science, Management and Engineering, 1(5), 52. Eisend, M., & Tarrahi, F. (2016). The effectiveness of advertising: A meta-meta-analysis of advertising inputs and outcomes. Journal of Advertising, 45(4), 519-531. Elias, M. S., & Ali, A. Z. M. (2016). Usability and user satisfaction of Multimedia Instructional Message (MIM) for packet tracer simulation. Journal of Educational Multimedia and Hypermedia, 25(2), 143-160. Ho, C. H., & Wu, T. Y. (2012). Factors affecting intent to purchase virtual goods in online games. International Journal of Electronic Business Management, 10(3), 204. Hwang, Y., Lee, J., Kim, S., & Jeong, S. H. (2017). Mobile game user'sevaluations of in-game advertising: Role of multitasking and persuasion knowledege. In American Academy of Advertising, Conference, Proceedings (Online) (p. 83), American Academy of Advertising. Jahanshani, A. 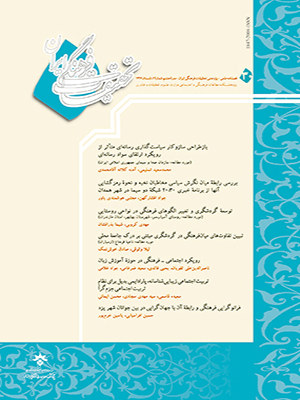 A., Hajizadeh, G. M. A., Mirdhamadi, S. A., Nawaser, K., & Khaksar, S. M. S. (2014). Study the effects of customer service and product quality on customer satisfaction and loyalty. Nucciarelli, A., Li, F., Fernandes, K. J., Goumagias, N., Cabras, I., Devlin, S., ... & Cowling, P. (2017). From value chains to technological platforms: The effects of crowdfunding in the digital game industry. Journal of Business Research, 78, 341-352. Park, J. W., Choi, Y. J., & Moon, W. C. (2012). Investigating the effects of sales promotions on customer behavioral intentions at duty-free shops: An incheon international Airport case study. Journal of Airline and Airport Management, 3(1), 18-30. Rodgers, S., & Thorson, E. (Eds.). (2017). Digital advertising: Theory and research. Taylor & Francis. Sun, Y., Fang, Y., Lim, K. H., & Straub, D. (2012). User satisfaction with information technology service delivery: A social capital perspective. Information Systems Research, 23(4), 1195-1211. Valvi, A. C., & West, D. C. (2013). E-loyalty is not all about trust, price also matters: Extending expectation-confirmation theory in bookselling websites. Journal of Electronic Commerce Research, 14(1), 99. Verberckmoes, S., Poels, K., Dens, N., De Pelsmacker, P., & Herrewijn, L. (2015, January). In-game advertising in fantasy games: The role of thematic congruity. In American Academy of Advertising, Conference, Proceedings (Online) (p. 105), American Academy of Advertising. Yoo, S. C., & Eastin, M. S. (2017). Contextual advertising in games: Impacts of game context on a player’s memory and evaluation of brands in video games. Journal of Marketing Communications, 23(6), 614-631. Zichermann, G., & Linder, J. (2010). Game-based marketing. Inspire Customer Loyalty Through Rewards, Challenges, and Contests, 21(6), 19-109.